Please thank and support our awesome, loyal BRAC sponsors. These guys provide us with a lot of resources to give our members the services they want. Pactimo has been our clothing sponsor for years. They provide the winners jerseys for the State Championships, all 126 of them. So, the next time you see someone riding around in a cool BRAC State Champion's jersey, you will know where they came from. Check out their complete line of cycling attire. Great Divide Brewery is another tremendous BRAC sponsor. They give us megaliters of quality beer for all of our events. On top of that, they give every BRAC member deep discounts at their Tap Room at 2201 Arapahoe Street in Denver. Brad Tucker and the great team of professionals at ColoradoBikeLaw.com have always had our backs when it comes to legal issues. They have your backs too should you need them. ColoBikeLaw.com is dedicated to informing and advancing the rights of all cyclists, particularly in Colorado. Their goal is to promote bicycle safety awareness, advocate bicycling interests, and serve as a resource of information for cyclists in need of legal assistance. Rudy Project is another sponsor that has been with BRAC for the long haul. They provide BRAC members deep discounts, often up to 50% on most items, which include glasses, helmets, gear bags, and much more. They also provide BRAC with a couple thoussand worth of product that we use for give aways and prizes, as well as providing BRAC cash based on member sales. We have a coupon code you can use to access your discounts with them. Contact the BRAC Executive Director for more information on how to access your discount. Megan Hottman of Hottman Law Offices has supported BRAC for years. She directs the CyclistLawyer.com cycling team and has been instrumental in women's programs over the years. Her mission with her practice is two-fold: they provides clients top-notch legal representation that generates exceptional results, along with incredible and individualized customer service. And - they get more people on bikes... riding safely, skillfully, and legally. Bemer is a new BRAC sponsor that has been active in Europe for close to 20 years. They make a medical device that delivers Electromagnetic pulses that stimulate better blood flow in all of the micro-vessels leading to more rapid recovery from injury, as well as improved recovery from your daily training. The team that recently won the 4-person RAAM used the device during their rest cycles and the results spoke for themselves. Reynolds Roofing opened for business in Denver Colorado in 1996. Owned and operated by Texas native Troy M. Reynolds, who started working in the roofing business in 1994. Reynolds roofing specializes in covering roofs across the United States. New construction, re-roofs, asphalt, tile, metal, and repairs; Reynolds has got you covered. In addition to his roofing business, Reynolds has been a competitive cyclist for over 20 years, and is also the owner and manager of a long-standing Colorado Cycling Race team. Colorado Barricade has been a longtime supporter of BRAC. They provide signs and safety equipment for events, and without knowing it, you have likely seen many of their products out on the road. In 2018 they boosted their sponsorship, giving BRAC much needed resources to continue our mission of growing local cycling. 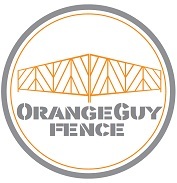 Orange Guy Fence recently began a new partnership with BRAC, whereby we get rebates from fence rentals. So, each time you see those quality, professional orange fences out on the course, the race director is helping BRAC continue our mission. Not all fences are created alike, and Orange Guy was the company that first made those fences that are so much safer due to the flat feet that you can ride over if you have to. They are also simple to carry, load, and unload -- a great choice for all races.